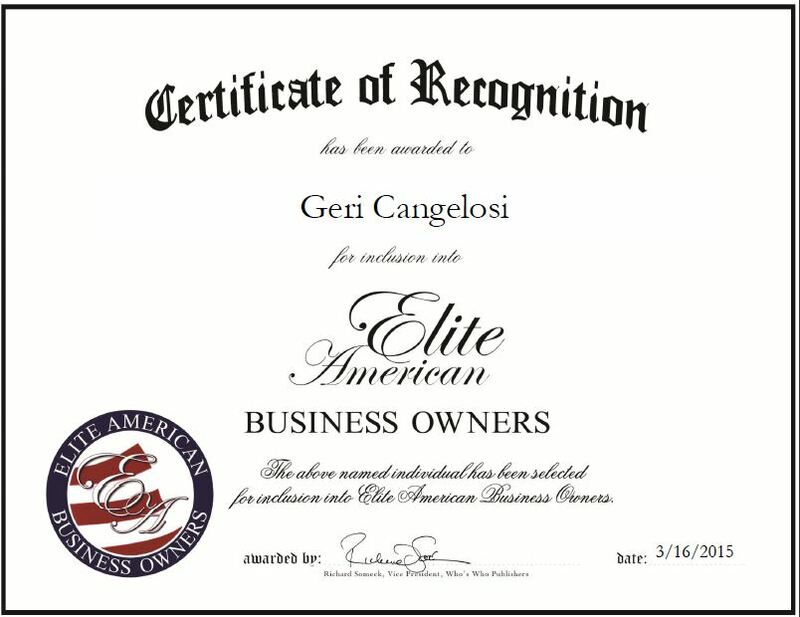 Company: Aegis Administrative Services Inc.
Chicago, IL, March 16, 2015, Geri Cangelosi, President and Owner of Aegis Administrative Services Inc., has been recognized by Elite American Business Owners for dedication, achievement and leadership in third-party health administrative services. The family-owned business has been under Ms. Cangelosi’s leadership since 2001. She draws on her past experience and knowledge of administrative processes to drive the success of her company. Ms. Cangelosi spends her days managing projects, completing administrating duties, overseeing all five departments, and managing client relationships. She also creates planned documents for employer groups, oversees client contracts, and manages sales. Ms. Cangelosi is proud of the reputation the company has achieved. It has a combined total of more than 50 years in health care and health care administration, and offers clients, including unions, associations and individuals, specialized cost containment solutions. Ms. Cangelosi ensures that the customers’ needs come first, and she does everything in her power to exceed their expectations. Ms. Cangelosi earned a Bachelor of Science in accounting at Triton College and stays abreast of changes in the field through her affiliation with the International Foundation of Employee Benefit Plan, SIIA Associates, and NAHU. She is eager to continue developing and expanding Aegis Administrative Services Inc. for years to come. This entry was posted in Health care and tagged benefits, cost containment soultions, family owned business, health care administration, project management, third-party administrative services. Bookmark the permalink.